Production runs will be limited with no guarantee of reruns. Please keep in mind these important points about Resin Car Works kits. All kits will be run in limited batches. Additional limited batches of specific kits may be run as demand warrants. All kits will contain custom parts; resin castings, decals, any special parts like photo-etchings, brake parts and instructions. These parts are supplied by small garage operations and arrive in batches for kit packaging. Staggered arrival of kit parts could delay filling orders for several months before everything is on hand. Several previously produced kits are not currently available. Details for kits not currently available have been moved to a separate archive page for these Resin Car Works products. 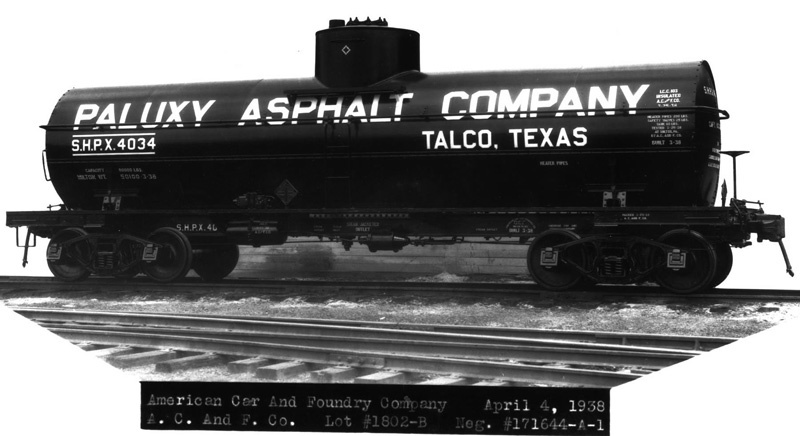 We found a few decal sets for this acid tank car kit. Supplies are very limited. These prototypes were built between 1939 and 1942 for several lessees. Decals include data for two car numbers. SHPX 7001 - 7003 (built 12-39) General Chemical Company, Inc.
SHPX 7004 - 7005 (1-40), 7025 - 7037 (11-40) National Aniline & Chemical Co.
SHPX 7095 - 7101 (7-42) Consolidated Chemical Industries, Inc. Kit 1.01 is $67, plus shipping. A pair of Tahoe Model Works Buckeye ARA 50-ton truck side frames are included. Wheelsets and couplers are not included. 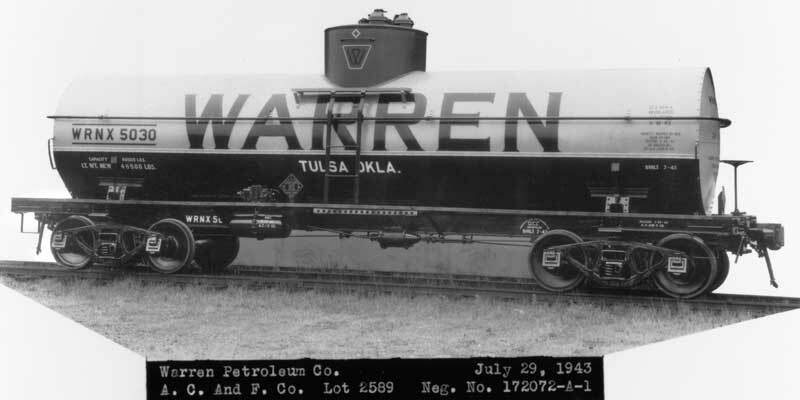 Check out this page of extra files to assist in your acid tank car builds. 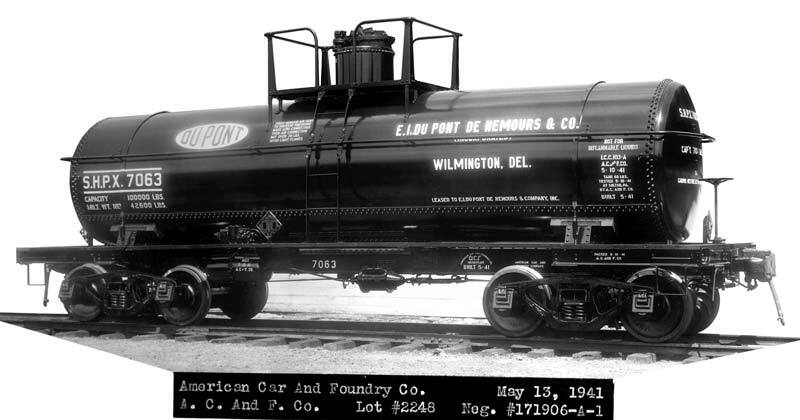 This is a very limited run of tank car kits to celebrate our fifth anniversary! This was one of our original kits but with decals for the E. I. DuPont lessee. We only have 35 decals sets for these kits and the original decal supplier is no longer in business. SHPX 7063 - 7080 were built in May 1941. Decals include data to letter any car in this series. Kit 1.06 is $67, plus shipping. Please print out and complete this order form with the proper item code and quantity, then send it in with payment to the address on the form. 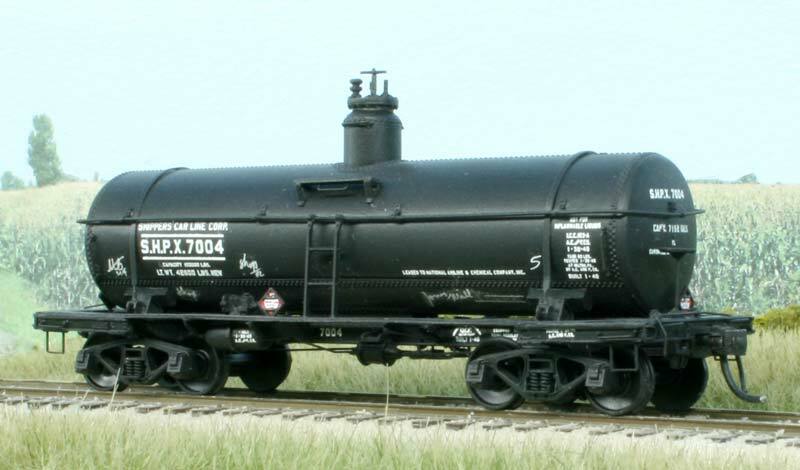 Resin Car Works is reintroducing these popular insulated tank car kits! Kit 9.01 is $65, plus shipping. Decals are included along with a pair of Tahoe Model Works truck side frames. Wheelsets and couplers are not included. Kit 9.02 is $65, plus shipping. Decals for both lettering versions are included, along with a pair of Tahoe Model Works truck side frames. Wheelsets and couplers are not included. Kit 9.03 is $65, plus shipping. 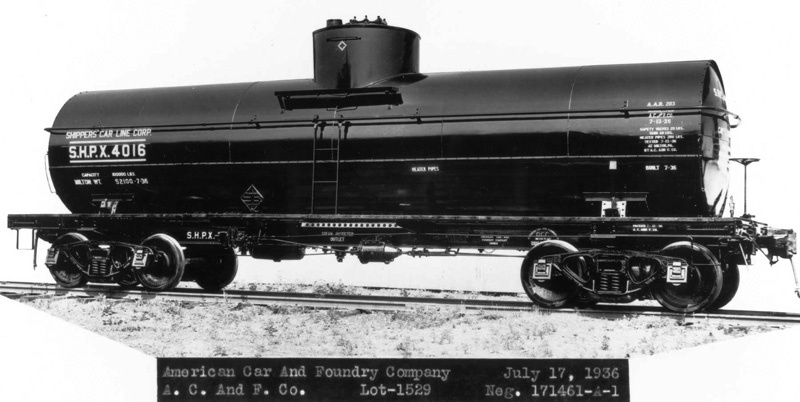 SHPX 4024 was built in May 1937 and the only car of this type leased by F. Pirrone & Sons. Kit 9.04 is $65, plus shipping. A pair of Tahoe Model Works Buckeye ARA 50-ton truck side frames and an Owl Mountain Models brass 2-inch frangible tank vent are included. Wheelsets and couplers are not included. Kit 9.05 is $65, plus shipping. Kit 9.06 is $65, plus shipping.